Perfect opportunity to buy Budget Blinds franchise of San Jose West at a price you can’t refuse! Budget Blinds of San Jose West is a leading franchise brand with huge growth potential located in the heart of the booming Silicon Valley economy. New homes are constantly being built within this territory, including large-scale condominium and apartment complexes. The territory includes 6 zip codes in well-to-do west San Jose and one zip code in high-end Campbell, CA. This is a great opportunity to join a leading brand at a discounted price with additional benefits. Included are window covering samples and sample books worth approximately $1,000. "THIS FRANCHISE IS priced to SELL Quickly due to personal reasons and family circumstances". This business was purchased from Budget Blinds corporate in October 2014, and began operating in January 2015. Owner is selling due to personal reasons and family circumstances. “I have nothing but good things to say about Budget Blinds, which offers amazing ongoing support and training, two weeks of which is mandatory. You can run the business from your home if you wish or expand into a showroom and offices. The business is highly scale-able.”-- Current owner. "My wife and I needed to cover up our back patio door and I am so happy we found Jason and his team at Budget Blinds! Jason came by for a consultation/measurement and gave us a very fair quote that we decided to move forward. The pieces came in much earlier than originally planned and we were ecstatic with the final result! I highly recommend Jason and Budget Blinds and we will definitely use him again in the future." --Devin C.
"We got shutters for our house and can't be happier with the choice we made in going with Jason. He was able to respond to any questions we had in a timely manner and was flexible enough with his schedule to meet my needs for measurements and the selection process (color, type of blinds, etc.). The price point was very competitive with other companies and ultimately beat any of the competition when it came down to cost. Our shutters look great and installation took place over a couple of hours. We will definitely be going back to Jason when we have to do our other windows!" --Jennifer N.
About Budget Blinds Budget Blinds® is a member of a family of brands under the umbrella of Home Franchise Concepts® (HFC), parent company and franchisor of home improvement service companies. As a franchising expert, Budget Blinds is dedicated to helping people go into business for themselves and to help them grow their home-based franchise business to be as successful as possible. The story of Budget Blinds began in 1992 when five young friends and entrepreneurs with a passion for building a unique niche in the home furnishings industry founded the company in Orange County, CA. In the early years, they ran Budget Blinds out of a small apartment and delivered fliers door-to-door from an old white Jeep. Over time, and by combining their industry experience and people skills, they pounded the pavement the old-fashioned way to grow the company into what it is today—America’s #1 window coverings franchise with over 1,000 consultants serving over 8,000 cities throughout the U.S., Canada, and Monterrey, Mexico. Our franchise owners provide expert in-home design consultation, measuring and installation, and an unbeatable No Questions Asked Warranty on our products. In fact, Budget Blinds has developed key relationships as the expert window coverings provider for home builders, such as Lennar Homes, NVR/Ryan Homes, and the PulteGroup, and also services the commercial business through its brand, BB Commercial Solutions® (BBCS). 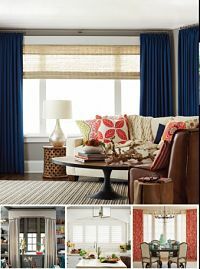 Budget Blinds also offers unique and exclusive soft window fashion products through its Inspired Drapes collection and exclusive product lines. Featured on NBC’s national hit show, Undercover Boss, Budget Blinds and its products and services have also been featured on Designing Spaces, Buying & Selling with the Property Brothers, DIY’s Blog Cabin, This Old House, George to the Rescue, the Marc & Mandy Show and Love It or List It in Canada. Budget Blinds franchise advantages include: an outstanding business model, a network of enthusiastic franchisees, our valued Alliance vendors, and a dedicated team at Budget Blinds Corporate. We’ve been honored to receive many prestigious accolades by franchise networks and by the home improvement industry. North and South Brunswick - New Jersey - $75000 SOLD!